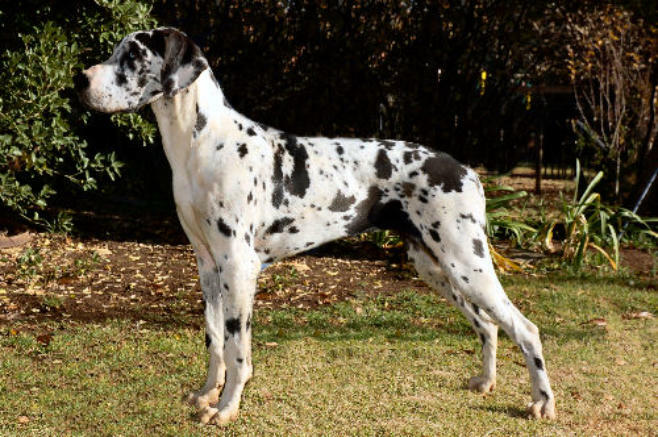 • Sire : BISS Ch Valleyvine Eikendal HD00 • Dam: BIG Ch Saxony Editor In Chief HD00 ED00 CGC Toosh was one of the most successful show dogs in the history of our kennel, but sadly her hip and elbow test results were below our standards. Thankfully she did not suffer and never required corrective surgery, but we could not ethically breed with her. Toosh was spayed and rehomed into a loving pet home with a good friend where she lived a long and healthy life, passing away on her 12th birthday. Toosh limped for a grand total of 10 days when she about 11 months old and that was the only time she was ever unsound. Needless to say to find out that she had elbow dysplasia in one elbow when her health tests were performed at the age of 3, was a massive shock. This just goes to show the importance of health checks, even if the dog does not show any signs. At her first Ch show she was awarded Best Puppy and was short listed, but she did not place in the Puppy Group. At the next show she placed 4th, then 3rd, then 2nd, then 1st and back to back Best Puppy In Show wins! Toosh achieved her Ch title in a very short space of time. She loved to show and when she moved out it was quite breathtaking. She performed excellently in her show career, achieving in Championship shows: • 2 Best All Breed Puppy In Show • 1 Best of Breed • 4 Res. Best of Breed • 8 Challenge Certificates (incl 2 point CC at SAGDA Ch SHow) • 6 Res. Challenge Certificates • 11 Best Puppies • 3 Puppy Groups 1st's • 5 Puppy Group 2nd's • 2 Puppy Group 3rd's • 1 Puppy Group 4th • SAGDA Dane Puppy of the Year 2007 She received her Challenge Certificates from: • Janet Wang (RSA) • Paul Dawson (Phillipines) • Rafael Maio Alcrudo (Spain) • Ronnie Natividad (Phillipines) • Iris Glyn (Australia) • Paul Harding (UK) • Rob Forsythe (RSA) • Judith Greig (UK) Fly with the angels Miss Toosh - you were deeply loved and will never be forgotten.